It’s on the cover of a study trip in China that a Tunisian delegation, grouping travel agents and hoteliers, met Chinese counterparts and attended the ITB China 2018 fair, the second annual edition of which saw the participation of more than 700 exhibitors coming from 80 countries. Supported by the GIZ (the German Corporation for International Cooperation), and carried by the administration and the profession, the operation helped with better understanding of a market that is confirming its interest in Tunisia as a destination, but also shows the first sign of missteps on account of price cutting, the irregularity of services and a lack of understanding the expectations of the customers’ culture. 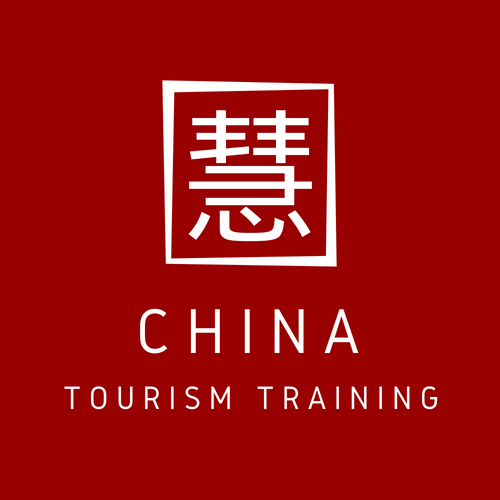 Intense and organised around several gatherings with giants such as Ctrip and historical tour operators operating in China, like Thomas Cook, the programmes of the FAM trip have allowed meeting Chinese operators who see in that destination a big bearer for their profitability. In China, Tunisia is fashionable! And it’s not the meeting of the large dozen of Tunisian professionals, representing the FTH, the FTAV, and the FI2T, with Chinese operators such as Haoqia or Qyer during this study travel, which would say the opposite. Here, there is interest for Tunisia, a lot of interest, no bad perception and even less prejudice regarding terrorism (on both smaller and larger scales). The security issue is addressed as it would be for any other destination. Used to working with essentially European traditional markets, the Tunisian professionals are quickly adapting. We must admit that the exercise is interesting. In China, you must build clear messages, take care of the label during meetings and remain silent on negatives as much as on the most common assets of the destination. No need to talk about the 1200 km coast and the seaside resort that has proved itself! The interest of the market is elsewhere, in the culture, the experiences and the discoveries. “Business Oriented”, the gatherings in Beijing and Shanghai are all looking the same. Since Tunisia has lifted the travel restrictions for Chinese people, the demand for the destination has exploded. Representing the most important increase in number of arrivals in Tunisia between 2016 and 2017, the current year confirms the trend. To this day, + 60% are registered in terms of arrivals. What is considered ‘destabilising’ for the Chinese is the “turn over” of the Tunisian governments since the Revolution. But regarding this argument, the Ambassador remains unmoved. All commitments made by Tunisia are respected. Continuity is assured! It remains that the rational side is important! Here, we are making “deals” with companies, but we also trust people who become a kind of the one and only real compass in the country. Between China and Tunisia, cultural differences are not measured in terms of distance in miles but rather in terms of poor understanding of each other’s stories. To this day, only 450 registered Tunisians live in China. Information regarding the countries’ bilateral trade volume remains anecdotal. The study trip allowed to call into question some received ideas of the Tunisian professionals about Chinese market and its expectations. Actually, as in any other market, there are as much demand as needs, budgets and areas of interest. 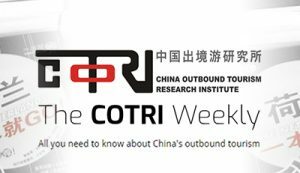 As proof, a Chinese operator specialised in the FIT sector announced that it had budgets above 25 000 USD for very demanding clients and a duration of 10 to 12 days on two destinations. To answer, the Tunisian professionals remain unperturbed. Some of them found the perfect recipe: treating Chinese individual travellers as if they were from the MICE sector. Do whatever it takes and propose the best and the country’s most exclusive in order to meet the needs of a very wooed clientele by all the destinations in the World, and not the least ; Dubai, Paris, Casablanca, London… There is no miracle cure, it takes audacity and they have to always check the clientele situation and needs. To understand the issues, various battles are engaged at the same time, and the main competitor for Tunisia remains Morocco that, quickly, reaches more than 100 000 Chinese customers in less than two years, since the “visa free” introduction. Understand this: Chinese people don’t like to stay solely among their compatriots, and the guide’s mentality on the spot has changed. He explains: “During our travels, we do not allow shopping, and we refuse the incredible commission on our clients. As a consequence, it makes them less interesting. The war is now declared about the prices and we refuse that. We want dialogue, quality, services, respect, and not only profitability”. Morocco is doing extremely well but is starting to be a victim of its own exceedingly rapid success. Tunisia knows this war very well and already faced it on Europeans markets, where, when the trust and the virtuous circle of confidence have been broken, it becomes difficult to recover. That’s why some Chinese operators understood that Tunisia offered a particular launch window due to its proximity with Italy and Malta. 45 minutes flight for Rome or 30 minutes for Sicily, here is where we want to strike, sums up the Product Manager of Haioqia , an online “Tour Operator” that is only waiting for price offers to see Tunisia taking off after 6 months. Here, deadlines are short, the correspondence is made via WeChat, and definitely not via mail – too slow and impossible because of the time differences. The entire world knows that the next decade of tourism will not happen without China. A recent report from the travel European Commission revealed that the number of tourists on the first months of 2018 rose by 254% on Serbia, 153% on Montenegro, and 46% and 36% respectively on Croatia and Poland. The market shares make the destination dream, and Tunisian people in mission for that study travel perfectly know that they have to answer quickly, not selling off cheaply and not making mistakes. Chinese people drive a hard bargain! They want to pay with a 6 month deadline, they want Chinese speaking staff and can quickly praise the destination or quickly give up on it. This luxury, Tunisian operators cannot afford.